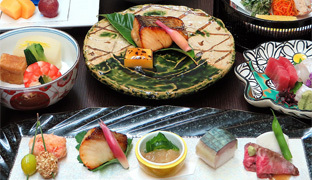 kaiseki cuisine.Delicious taste created with ingredients carefully selected from chefs. Please enjoy have a pleasant time at a cozy seat. 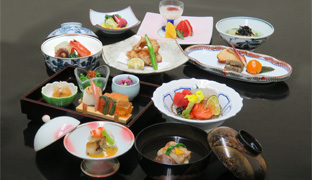 Entertained customers with Kaiseki cuisine　(Course menu) which includes idelicious taste of spring, summer, autumn and winter (four seasons) . 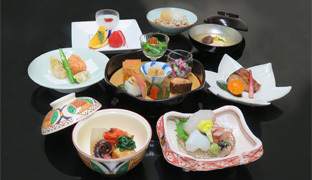 Reasonable Japanese set menu.lunch box shoukadou. our restaurant has a private room. We are looking forward to you visiting our restaurant. 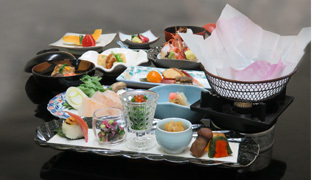 information and richness through Japanese cuisine to customers. 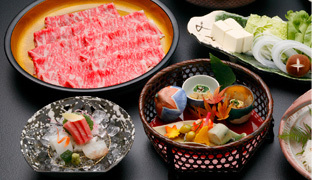 Please enjoy in traditional Japanese cuisine. only be available in Japanese. Toei Oedo Line Tsukiji-Shijo Station 5-minute walk. 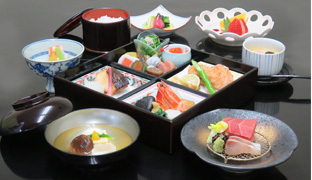 Copyright© UEMURA-FOODS,Inc. All Right Reserved.